An action-packed, globe-spanning adventure begins here! 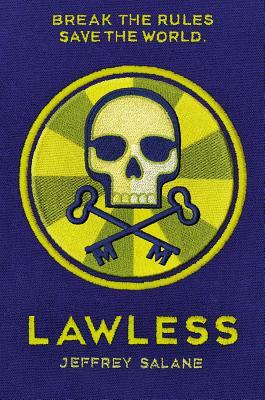 Welcome to Lawless, where the head of the class is a dangerous place to be. M Freeman is the newest student at the prestigious (and mysterious) Lawless School. All she really wants is to fit in, but from the moment she arrives, her unusual skills have the whole academy buzzing. M excels at escape tactics. She's a whiz at spotting a forgery. But can she tell right from wrong? She'll have to figure it out fast, because some of her teachers are planning the crime of the century . . . and M and her classmates might be the only people who can stop them. Jeffrey Salane's debut novel is full of twists and turns, reveals and reversals. Spoiling the ending for your friends would be criminal!